Today's CASE-ing card is an unusual layout with strips of designer series paper creating the backdrop for the focal point. I had to be careful in choosing the paper, so that it didn't overshadow the umbrella image that I chose. This will be a fun challenge to try, because it may be a layout that you've never tried before. 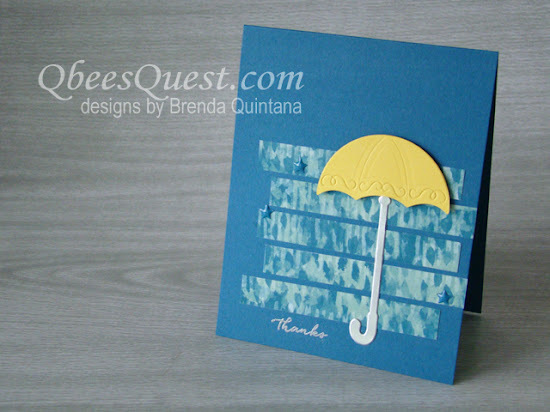 To find out how to make this card join me for a Facebook live at 10am today (link below) or watch the recording later. 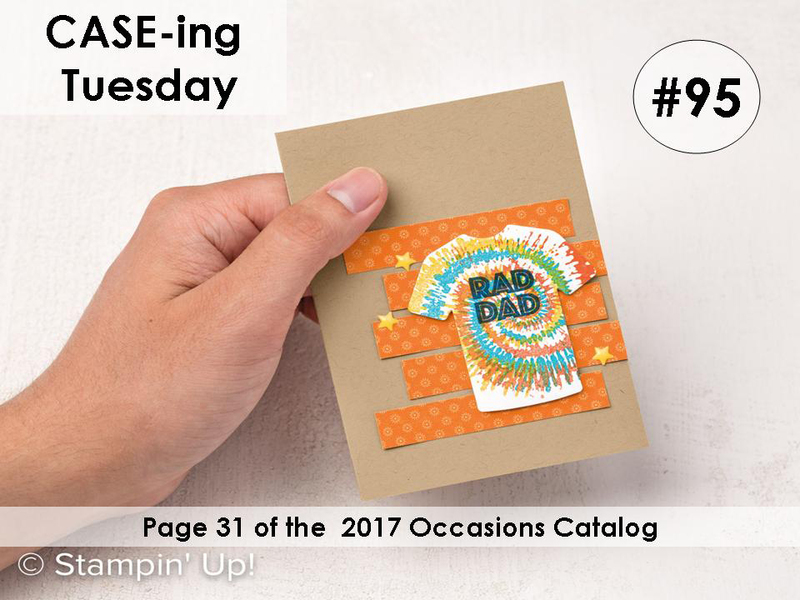 Today's CASE is brought to you from page 31 of the 2017 Occasions Catalog. Catalina and I are co-conspirators in CASE-ing. To check out Catalina's CASE-ing Tuesday card see HERE! DSP Strips: 3-1/2" x 1/2"